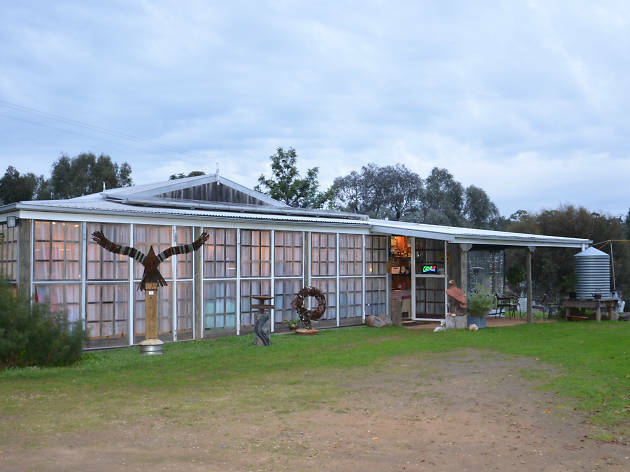 Discover new works by local artists in the Nara Dreaming exhibition at Bill's Shed. The exhibition coincides with Reconciliation Week each year, and the organisers (who are Indigenous and non-Indigenous) regard the event as an act of reconciliation. This year the line-up of exhibiting artists includes sculptors, photographers, ceramicists, jewellers and more with a balance of Indigenous and non-Indigenous artists represented. The opening will be officially opened on Friday May 18 by City of Greater Bendigo councillor Rod Fyffe. If you can't make the launch don't worry – the exhibition is on for three weekends until June 3, and on weekdays by appointment. Sunday May 27 is sure to be one of the exhibition's busiest days, as some special four-legged guests visit the shed. Nara Dreaming will be hosting two friendly dingoes and their handlers, who will be giving a talk on the misunderstood canine. More importantly, you'll be able to pat the dingoes and get a photo with them. Entry to Nara Dreaming is by donation, with proceeds going towards community radio station Phoenix FM.